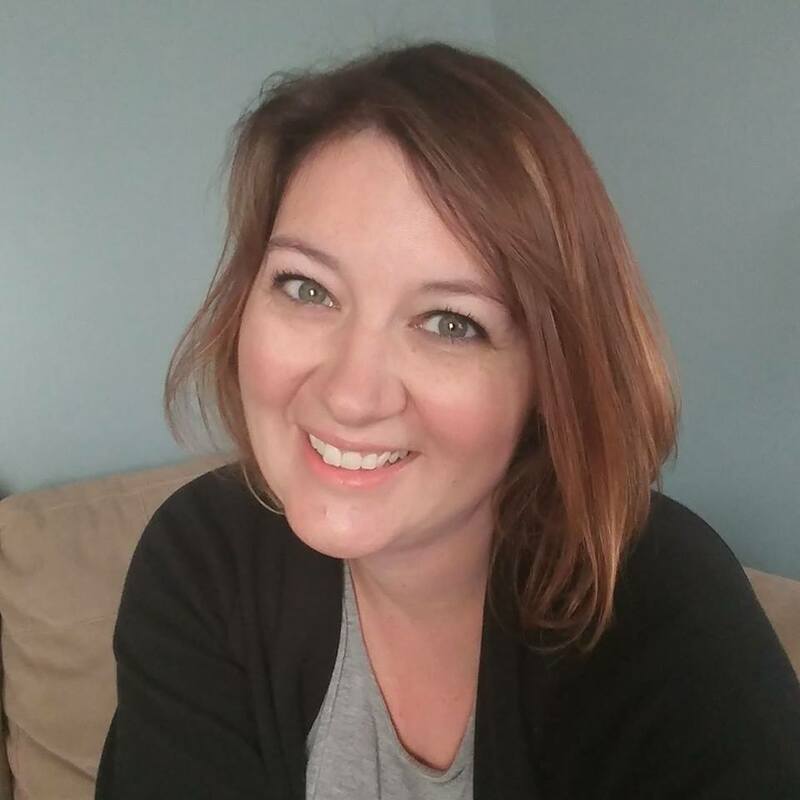 I joined another monthly blog group – it’s all about salads! 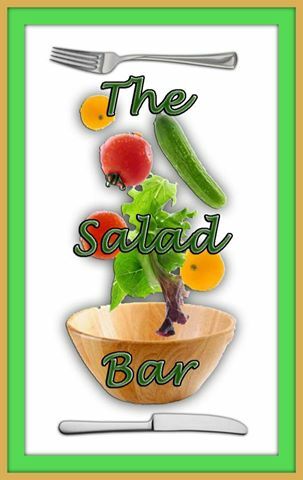 Each month the members get an assignment and the only restriction is that it needs to be a salad. It’s a great way to incorporate more vegetables and fruits in our diet. This month’s theme is BERRIES. Perfect timing since strawberries are just starting to come into season. I love incorporating fruit into salad, something my husband isn’t too fond up but I’ll convert him soon. 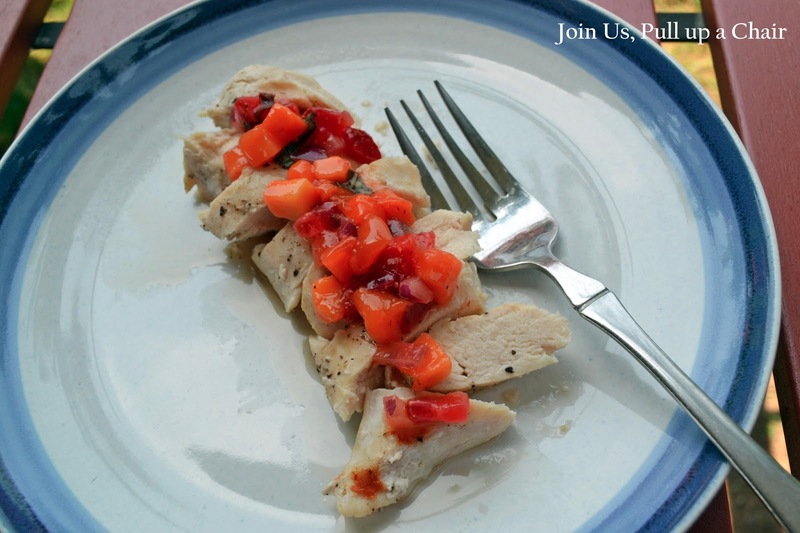 Fruit salsa is such a treat and there’s so many varieties – sweet, spicy…really anything you want. 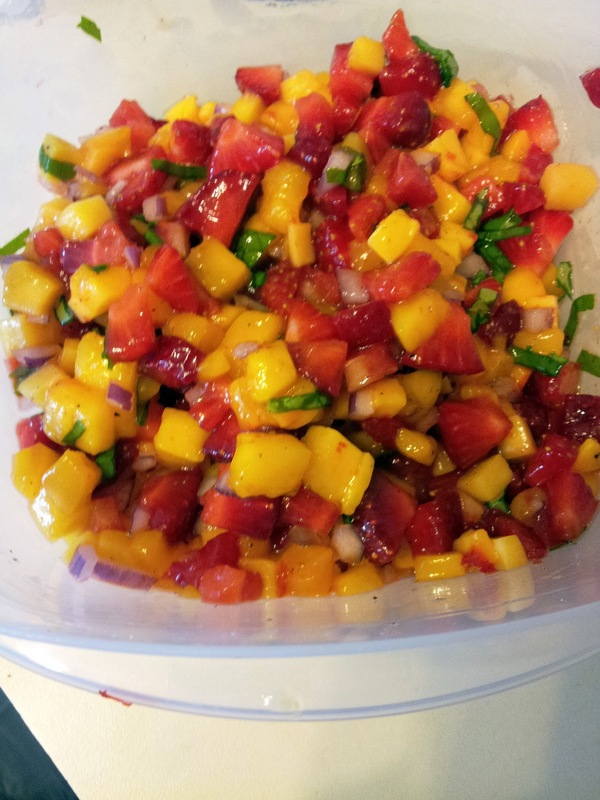 I decided on this strawberry mango salsa. It’s a sweet and spicy with the addition of red onion. We enjoyed it both with blue corn chips and also as a topping to grilled chicken. Combine all ingredients in a small bowl. Cover and refrigerate for at least 30 minutes before eating.